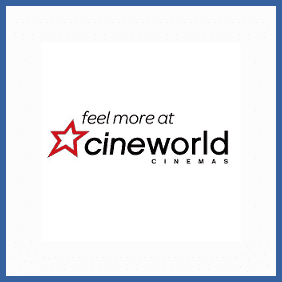 Home | Posts tagged "cinema"
Head to the Unlimited Cineworld refer a friend page. Enter your Unlimited card number (the long one on the front) and your email address. You’ll receive your unique code by email and it’ll also be displayed in your account info. Send this code on to friends and family, encouraging them to sign up for Unlimited. Once they’re signed up, you’ll both receive your free month. Get hold of your friend’s unique referral code – the easiest way for them to share it is by email. Using the referral code (or clicking the link in the referral email) sign up for a new Unlimited membership. Once you’re signed up you’ll be set for a free month of movies, as will your referring friend. Copyright © 2017-2018 All rights reserved. All logos and trademarks displayed or referenced are the property of their respective owners. Category icons provided free of charge by Becris.